It was heartening to see that this year when the brand went national, the first place they have opened outside Delhi is in Kondapur Hyderabad. This is a testimony of the rising interest of F&B brands in the rapidly growing Hyderabad market. The ambience of the new outlet is in sync with the older ones in Delhi. 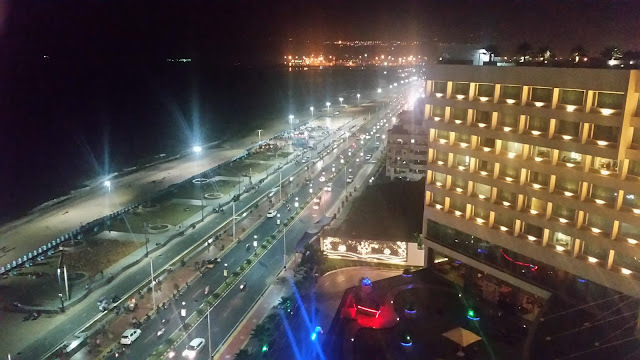 Hyderabadis will find it similar to Angeethi, an old Punjabi restaurant in Banjara Hills. The design of the restaurant is deliberately rustic, as we find in many dhabas on the highways. The PDR resembles a jail with has pics of well-known Bollywood villains adorning the wall. The bar area (license awaited) and kitchen are open and you can see vibrant colours in the décor. I had arrived late for the preview session, and my friends had already delved into the starters. 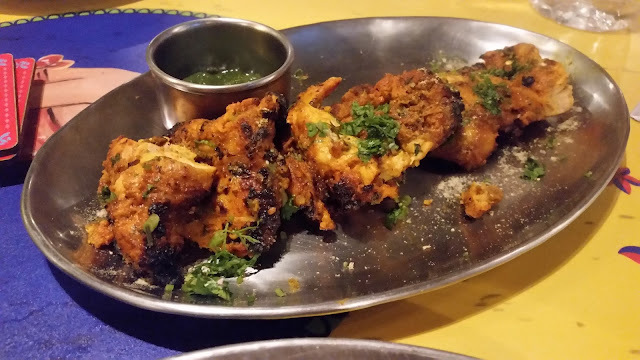 The Highway Chicken Tikka had pieces of soft and succulent chicken pieces marinated in tandoori masala and cooked to perfection. 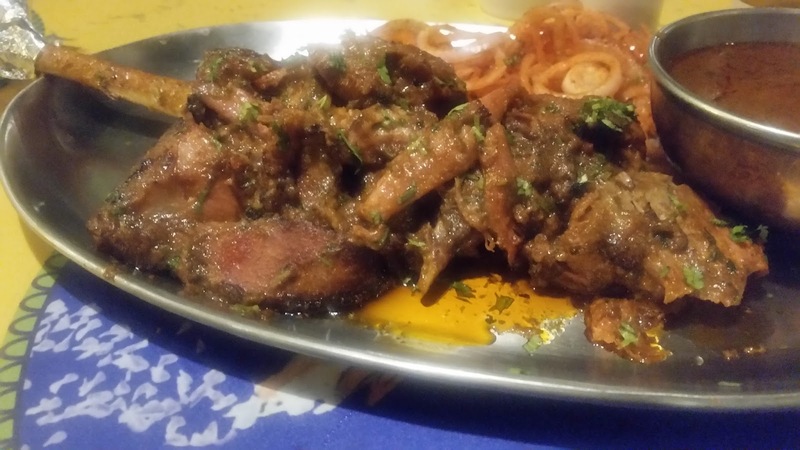 The Mutton Seekh Kabab was done in Punjabi style with coarser mince than the ones you find in the Awadhi restaurants. 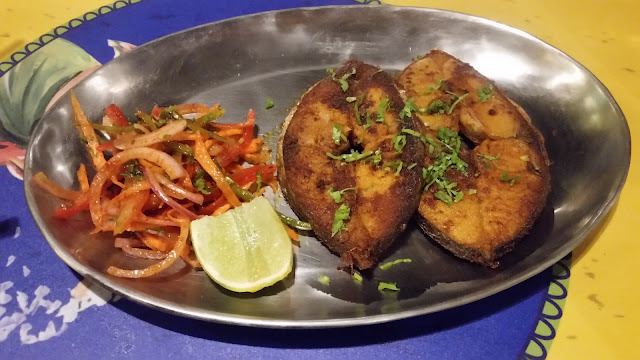 I took a fancy to the Tawa Machhli served with sirkawala pyaaz, as the masala on the fish was well balanced. All this time I had some Ganne Da Ras to accompany the food. Though liquor license is not in, I had a sneak peek at their planned liquor menu. Interesting drinks like Toofan (Vodka with guava juice, coriander and spices) and Laal Pari (touted as the dhaba version of Bloody Mary) would definitely warrant a return visit. 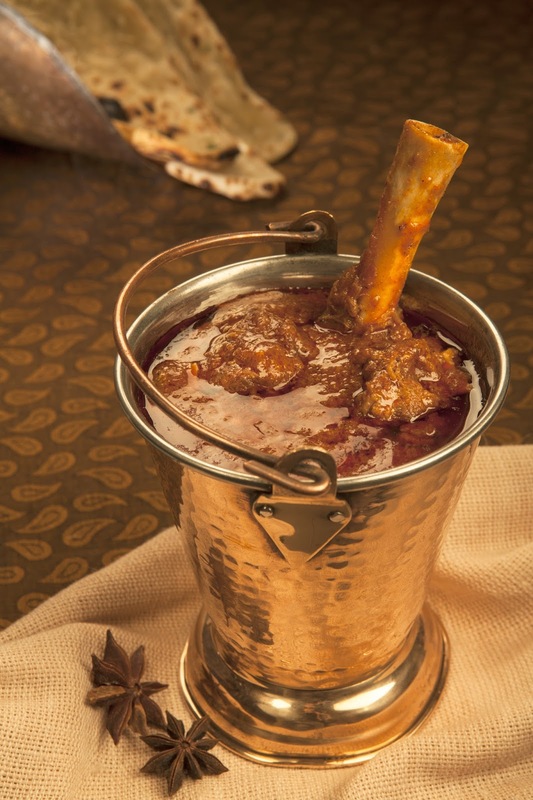 Tandoori Dhaba Raan is one of the signature dishes of Dhaba by Claridges. The lamb leg comes attractively plated with the gravy separately served. It is a recipe where the meat is marinated overnight with a special spice mix and this dish is not to be missed. We tried this with Dhabe Di Roti, a slightly thicker but soft Indian bread for which this restaurant is known for. Chitta Butter Chicken is another innovative dish here, as unlike the usual butter chicken there is no tomato in it. 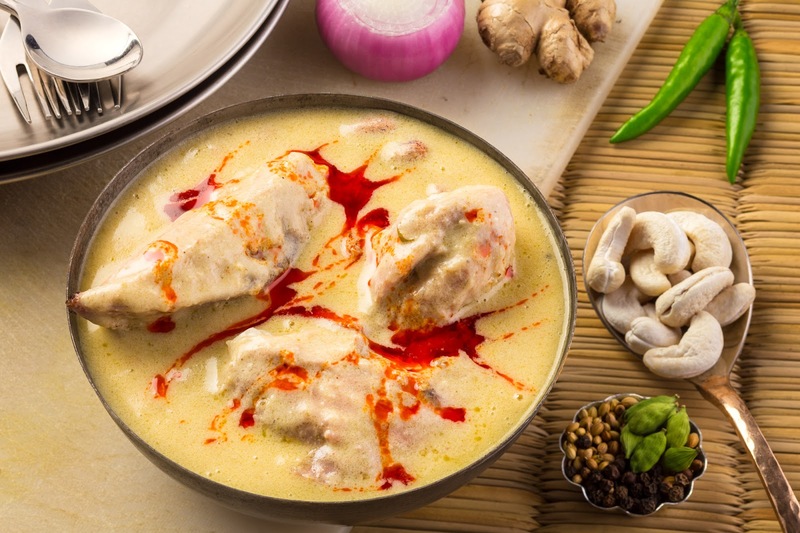 Chitta in Punjabi means white, and the chicken is cooked in a tandoor with hung curd and cream based white gravy. Whole garlic pods and kasoori methi augment the flavour. This was my favourite dish in this dinner, and the Missi Rotis provided the ideal foil. Another signature dish of the restaurant is Balti Meat, spicy mutton curry served in a bucket. The gravy was simply delightful and I see the dish becoming very popular in Hyderabad. For vegetarians, there is quite a choice too. The Dal Dhaba is the restaurant’s version of the Punjabi comfort food of black grams. Dhabe ke Aloo Gobi was a mild curd based preparation with the cauliflower soaking in the masala. Paneer Makhani provided the taste of tomato and cream based preparation which Punjab is known for. Apart from an assortment of Punjabi rotis, we also tried the Tawa Vegetarian Pulao, a combo of basmati rice, select vegetables, spices and caramelized onions. It was a very satisfying tasting session. The desserts served were Tilla Kulfi, Gulab Jamun and Phirni. The kulfi mounted on sticks was the one I enjoyed the most. 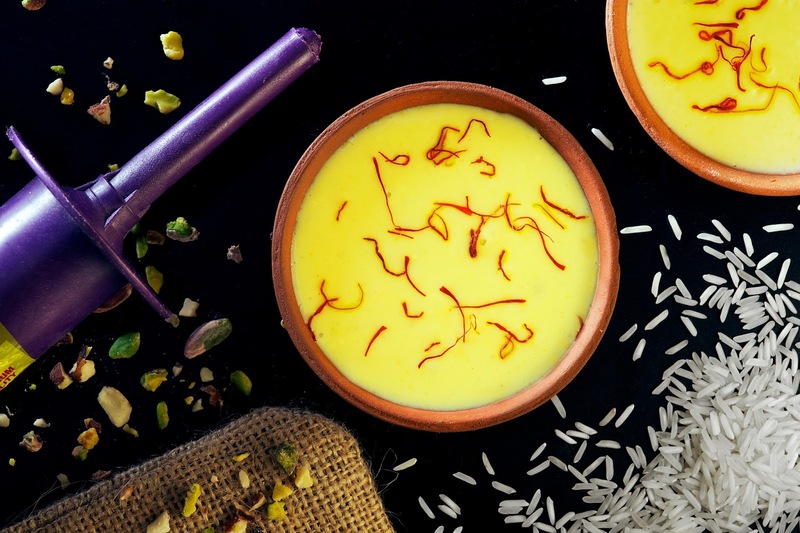 The phirni was subtle in taste while the Gulab Jamun was warm with the taste of mewa bursting in your mouth. The arrival of Dhaba in Hyderabad means that most of the top Punjabi restaurant brands now have a presence in the city. Dhaba surely ranks in the top bracket of all these, and any food lover should not miss the buzzing experience here. Next to Google office, Kondapur.